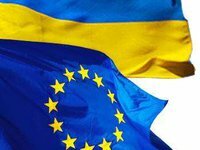 In 2012, Ukraine failed to implement most recommendations stated in last year's European Neighborhood Policy (ENP) progress report, the European Commission said in its assessment of the ENP implementation in 2012, which was made public in Brussels on Wednesday. At the same time, the European Commission noted certain positive steps in legal and judicial reform. "In 2012, Ukraine did not address most of the key recommendations contained in last year's European Neighborhood Policy (ENP) progress report. However, it did take steps toward legal and judicial reform, with the entry into force of a new Criminal Procedure Code and other important legislation," reads the ENP Country Progress Report 2012 for Ukraine. The European Commission also appreciated the adoption of a law on asylum and refugee status, but noted that its implementation was flawed. "Progress is needed on the other key recommendations," the document reads.